Scuba Diver Medical Q&A: Can you scuba dive with childhood asthma? 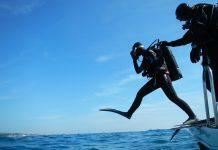 Home Blog Medical Scuba Diver Medical Q&A: Can you dive with childhood asthma? Scuba Diver Medical Q&A: Can you dive with childhood asthma? Q: My ten-year old daughter Lucy has asthma, which she’s had since birth. In her first few winters it was quite severe and she ended up in hospital on several occasions. Thankfully this has become less frequent as she’s got older, but she still has to take a daily preventer inhaler and a tablet to keep it under control. My husband is a dive instructor and is keen on Lucy trying out diving, but obviously only when it’s safe enough for her. Do you have any thoughts on this? A: Childhood asthma was, until relatively recently, considered a psychosomatic disorder. The plaintive wheeze was interpreted as a child’s suppressed cry for its mother, and the treatment of depression in such children was therefore the focus of their management. In these more- enlightened days, we know that many children with ‘episodic wheezing’ will grow out of it as they get bigger and their airways become larger. I’m not sure Lucy’s quite there yet though. Use of daily preventative oral medication in a child is indicative of moderate to severe asthma, and there’s also the issue of how she might respond if an attack occurred underwater – panic and a rapid breath-holding ascent are much more likely in a child. My advice would be to hold on until her teenage years and reassess then. She’ll be older, wiser, hopefully fitter and healthier, and diving will be still be around. Unless we’ve all been swamped by global tsunamis, of course. Q: Over the last year I’ve been working my way around the Pacific as a dive instructor. I thought I’d be immune to most waterborne diseases by now but I seem to get ear infections more than most. After a few days of diving my ears get itchy and painful and I have to stay out of the water, which is bad for business (and I’m sick of being sick all the time!) Do you have any tips on how to stop this happening? A: Most certainly I do. If there was a 100 percent reliable cure for this I’d be happily retired (and probably working my way around the Pacific as a dive instructor, too), but I can point you in the right direction. Prevention is always better than cure, and my preferred regime is to mess with the ears as little as possible. Earwax is naturally antibacterial, so doesn’t need to be dug out by dirty implements at all costs. A daily freshwater rinse of the ear canals will wash out any residual bug-infested seawater, but for even better effect this can be diluted with vinegar (proportions vary, but a third vinegar to two thirds water is about right). Some use alcohol in there as well, but it can smart terribly if put on in amed skin, so I tend to avoid this. Plus, you can’t put it on your chips afterwards. If you do get an infection then treating early is key. Touching or pulling on the outer ear will cause pain in otitis externa, so if this happens start antibiotic drops as soon as possible. The best ones contain an antibiotic and a steroid, so it’s a good idea to carry a bottle with you on liveaboards, or if diving in remote areas. I’d also recommend is a trial of a mask with earpieces, which basically seal the ears off in (theoretically) watertight spaces, connected to the mask and nose space via two flexible tubes. Fitting them can be fiddly but many divers find them a boon, for equalising issues as well as for preventing recurrent ear infections. Do you have a question for Dr Firth? Email: [email protected] com and we’ll pass it on.